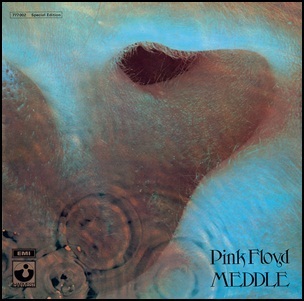 On October 30, 1971, “Harvest” label released “Meddle”, the sixth Pink Floyd studio album. It was recorded January – August 1971, at the “AIR Studios”, “Abbey Road Studios”, and “Morgan Studios” in London, and was produced by David Gilmour, Roger Waters, Richard Wright and Nick Mason. The album cover was designed by Hipgnosis.